18 Crazy And Interesting Dares For Guys! 18 Crazy Dares for Guys! The classic game of truth and dare is thought necessary in every gathering these days. It does not only help you get to know your friends better but also can amuse them by doing difficult but interesting dares. Mostly when people select dare, they had to do crazy and sometimes embarrassing tasks. You may have tried many good dares but this one is really challenging for a guy. Girls are very sensitive, especially when it comes to their looks, and they won't compromise on it. If you are brave enough then call her and say that she is the ugliest girl in the world. However, make sure that you are ready for her reaction. This is another challenging physical activity and dares for guys. If you are not exercising daily then it is really difficult for you to do 50 pushups without stopping. This one is difficult for you especially if you are conscious of your diet. You need to eat 12 bananas in one minute without peeling them. Eating bananas with their peel is indeed a demanding dare. Ladyfinger is very tasty when cooked. What if you get the dare to eat one kg of uncooked ladyfingers? Try this challenging dare and prove yourself. This is another difficult dare for the guys. The people out there are going to make fun of you. You need to put lipstick and blush and then go out with your friends and do routine work. You need to compromise your self-respect to complete this dare. Go out and start begging from people. You may find people leaving derogatory comments on you. If you are daring to go out and try this dare. Dares for guys include bicycling as well. Riding a bicycle is indeed a very challenging task. 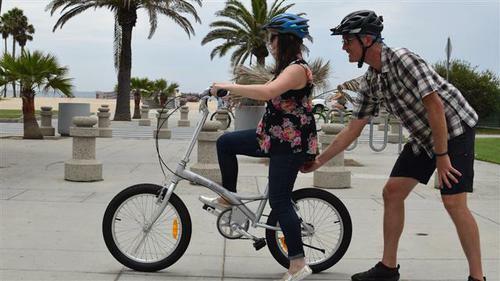 Try to ride your bicycle for 2 kilometers in 2 minutes. Make sure you are well aware of your stamina and don't create any major problem for yourself. Guys with asthmatic problems should not try this. You need real courage to do this task. Hugging a stranger girl outside means you can face a strong reaction as well. So, if you are daring enough then go outside and hug a hot girl tightly. You need to copy and pole dancer in this dare. Here again, dancing with a pole while people are watching you is an unusual thing for men. Maybe your friends would laugh at you sometimes in the future. If brave enough, try this. Aged people easily get angry. Taking the newspaper from them is really difficult. Go out and take the newspaper from them and be ready for the reaction. They may insult you and complain to your family as well for this act. 11. Drink a mixture of salt, sugar and black pepper dissolved in a glass of water. Drink a glass of water with sugar, salt and black pepper in it. Sugar with water is fine, but salt and pepper in it are totally going to change the taste. You can face some health issues as well after eating this mixture of water. Frying egg is very demanding; you need to be very conscious. Frying an egg by closing eyes means you may burn the egg completely. This doesn't include any physical exertion but you need do some precaution measures in case of that the oil may burn some parts of your hands or other parts. Are you brave enough to bear the anger of your girlfriend? 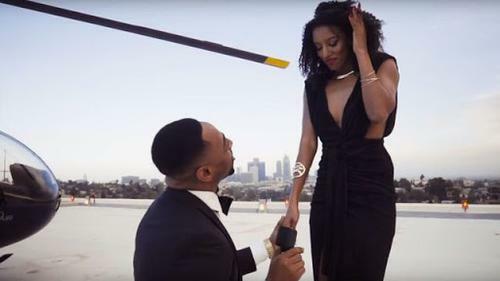 If you are, then propose a girl in front of your girlfriend. This may result in your breakup if your girlfriend is emotional. This dare is also very challenging. Your self-respect is compromised and people are going to make fun of you as well. You must have good stamina to hold your breath. If you can hold your breath for 60 seconds then put your face in the pool. However, if you feel totally exhausted then bring your face out because you may lose your life as well. Taking a bath with icy water is difficult in winter. You can try this in summers but even then it is not that much easier. Have a bath with icy water but this can result in some health issue as well. Chicken is very tasty when it is cooked, but eating raw chicken is mostly associated with animals. If you are daring enough, then try to eat a raw chicken piece. Soap is made using some chemical material and has a very odd taste. 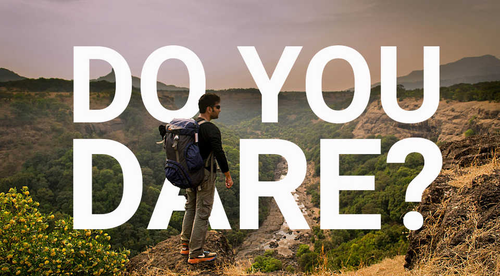 Licking a bar of soap is very difficult but if you consider yourself daring enough to complete this dare. People often try to prove themselves by doing different dares. Some of the tasks are humiliating as well but you need to complete them. You need to be courageous so that you complete them. Some of the tasks are funny as well and you can enjoy them when doing. If you want to know more, watch some crazy dares in this video. Do You Know Why People Don’t Read Books? 11 Amazing Chemical Reactions in Everyday Life!